Founded in 2011 and focused on experienced traders, US-based Kraken is the largest crypto exchange when it comes to trading in euros. It’s also one of the most secure, given the comprehensive range of safety measures the exchange takes, such as keeping the vast majority of user funds in offline wallets. Another big plus is that its fees are among the lowest in the industry, with free deposits and very competitive withdrawals and trades. Yet despite these advantages, its support team can take long to respond to queries, with some customers waiting weeks for help. Low fees are one of Kraken’s biggest attractions. Trading/exchange fees for “takers” (those who take an existing order on Kraken’s order book) vary with the cryptocurrencies being traded and the volume a user has traded in the previous 30 days. However, they generally range from 0.1% to 0.35% for most paired currencies. Newer or less popular currencies can see taker trading fees as high as 0.75%. As for “makers” (those who trade by creating an order on Kraken’s order book), their trading fees tend to be lower than those for takers, since they add liquidity to the market. Once again, they vary with the volume of trades and the currencies being traded, but they generally start at 0.16% and go as low as 0% for trades worth more than $10 million. With deposits, these are free for the vast majority of cryptocurrencies. For some newer or less common currencies, such as melonport, gnosis, and EOS, there are deposit and/or wallet setup fees. Melonport has a 0.01 M address setup fee, for example, while EOS has a 0.2 £ deposit fee and a 0.2 £ wallet fee. On the other hand, all withdrawals incur a fee with Kraken. As the sample table below illustrates, they aren’t quite the cheapest for bitcoin withdrawals, but they do well with other currencies, being the cheapest for ethereum and dash, for instance. They also charge for withdrawing fiat currencies, with a SEPA withdrawal of euros costing only €0.09. Compared to Bitfinex, for example, this is cheap, since Bitfinex charge 0.1% for withdrawals. 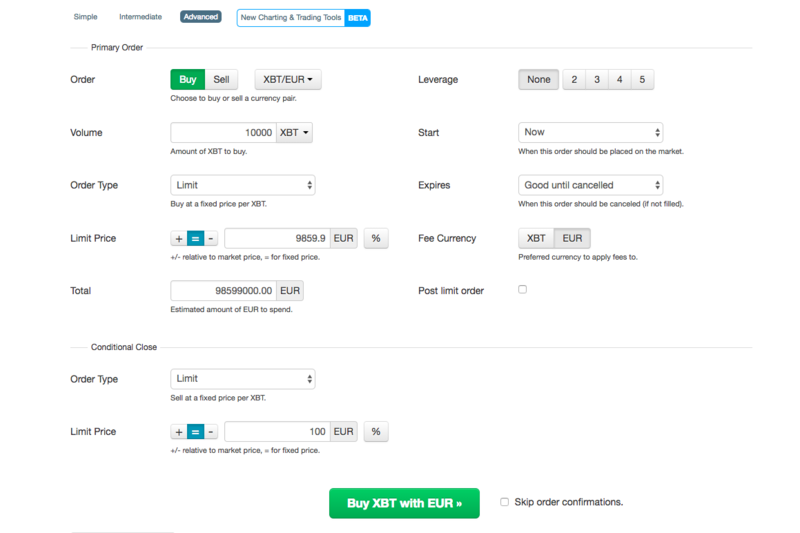 In the case of a €1,000 withdrawal, this would mean the user would have to pay €1 to Bitfinex and €0.09 to Kraken. Based in San Francisco, Kraken has the distinction of being the exchange chosen by the Tokyo District Court to handle customer compensation claims related to the collapse of Mt. Gox in 2014. 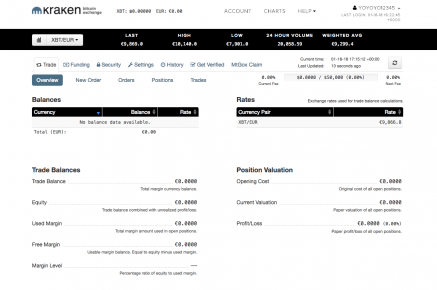 It also offers an exhaustive range of different trade types, from the usual limit orders and stop loss orders to margin trading. Focused more on the seasoned trader, it enables trades not only between cryptocurrency pairs, but also between fiat currencies (e.g. pounds, euros) and cryptocurrencies. However, at the moment, it doesn’t offer trades in as many cryptocurrencies as certain rivals, being limited to only 17 digital currencies at the time of writing. Given that it caters to professional traders and companies, it’s generally a very secure exchange, offering four tiers of account verification that enable users to trade increasingly large amounts. And rounding off its status as a great all-rounder, its trading and deposit/withdrawal fees are very competitive. The only significant mark against its name, however, is its customer support, which due to a large backlog of queries can take several weeks to answer customers. And if the above weren’t enough, Kraken also takes a number of measures to guarantee its legal compliance, system security, and financial security. These include the maintenance of full currency reserves and the daily backing up of data, all of which combine to significantly lower the risk of users losing money. 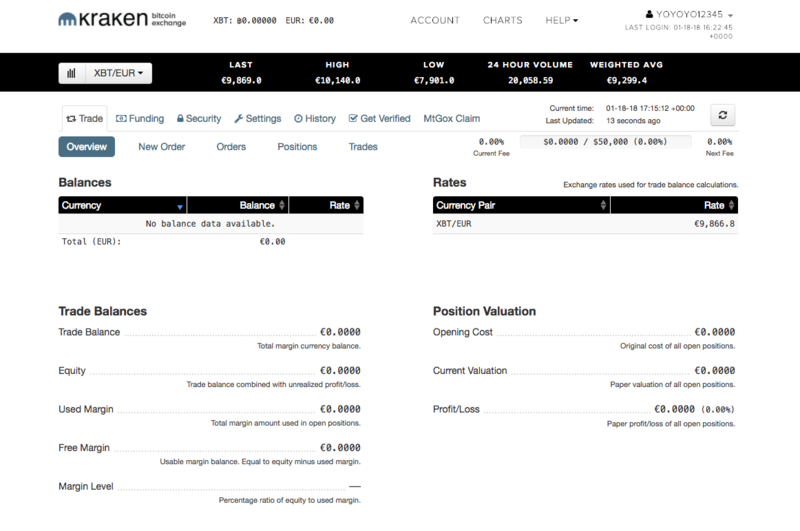 While it offers a wealth of trading options, usability isn’t Kraken’s strongest point. As opposed to having all the necessary info and boxes on a single dashboard, its interface is divided among a number of separate tabs and windows. This forces the user to click from one place to another whenever they want to place an order, then see their orders, and then see their account overview, for instance. To be honest, this isn’t a fatal flaw, and users will get familiar with it soon enough, but it does make the Kraken experience a bit less seamless when compared to some of its slicker rivals (e.g. Bitfinex, Bittrex). These come in addition to basic market orders, limit orders, and margin/leveraged trading. That said, at the time of writing Kraken has suspended advanced order types for a variety of fiat currency-cryptocurrency pairs, including EOS/EUR, EOS/USD, XLM/EUR, XLM/USD, GNO/EUR, GNO/USD. With withdrawals, the same options apply, with SEPA once again providing the fastest transactions. However, it’s worth noting that deposits and withdrawals in euros are available to users with at least Tier 2 verification, except in Germany (and Japan), where Tier 3 verification is required. If users aren’t verified up to level two, they’ll have to transfer cryptocurrency from and to an external crypto wallet.